With an extra day to play in the kitchen this month, why not try something new? The lovely folks over at Kitchen Play and Jarlsberg cheese asked me to be a part of a leap year celebration - "29 Ways to Leap into Jarlsberg Dip". I was introduced to Jarlsberg cheese at last year's Eat Write Retreat conference in Washington, D.C. (a fabulous event!) Jarlsberg was a sponsor and provided delicious samples at the cocktail party. Jarlsberg is a semi-soft, nutty Norwegian cheese. Have you tried it? Last May was my first time - delicious! It is a good addition to a cheese plate, great on sandwiches, melted in an omelet, and the list goes on. At the grocery store you can find it in the deli case (to order sliced) or in the specialty cheese case. As you can tell from the title, Jarlsberg has a new dip that they are introducing! I'm excited to be the official kick-off post for "29 Ways to Leap into Jarlsberg Dip". Throughout the 29 days of February, Kitchen Play has enlisted bloggers to post recipes and serving ideas incorporating this new cheese dip. 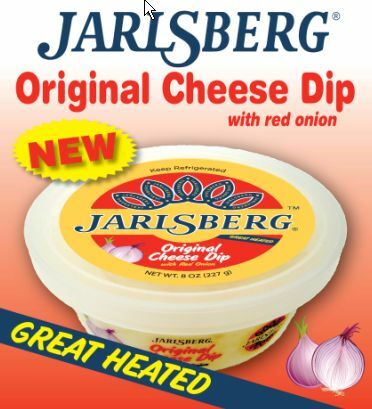 Jarlsberg dip is a nutty, flavorful combination of Jarlsberg cheese, real mayonnaise, and diced red onions. There are endless ways in which you could use the dip. I have two recipe ideas to start off the month of creative ideas! My recipes may seem pretty basic - but they are flavorful! Perfect for watching the big game, a red carpet special before an awards show, or just a relaxing afternoon at home. I hope you enjoy! Note: Start with a half a cup of Jarlsberg dip if you are using all of the yolks from the eggs. If you reduce the amount of eggs, add a little more dip to have enough to fill the eggs. Alternatively, you could spread some dip on toasted bread and pile on sliced hard-boiled eggs and pickles for a quicker lunch! My grandmother makes an appetizer that I request for every party - corned beef roll-ups. I took her technique and swapped in turkey and Jarlsberg for a new party favorite! Serving size varies depending on the size of cucumbers used. I used three mini-cucumbers here and cut each into 5-6 pieces. I hope that these recipes will inspire you to try something new! And you can win some Jarlsberg dip and other tasty goodies as part of the 29 Ways to Leap into Jarlsberg month! For all the details on how to enter, visit the Jarlsberg blog. Sounds delicious! Disclaimer: I was provided with compensation to cover the cost of ingredients for these recipes. 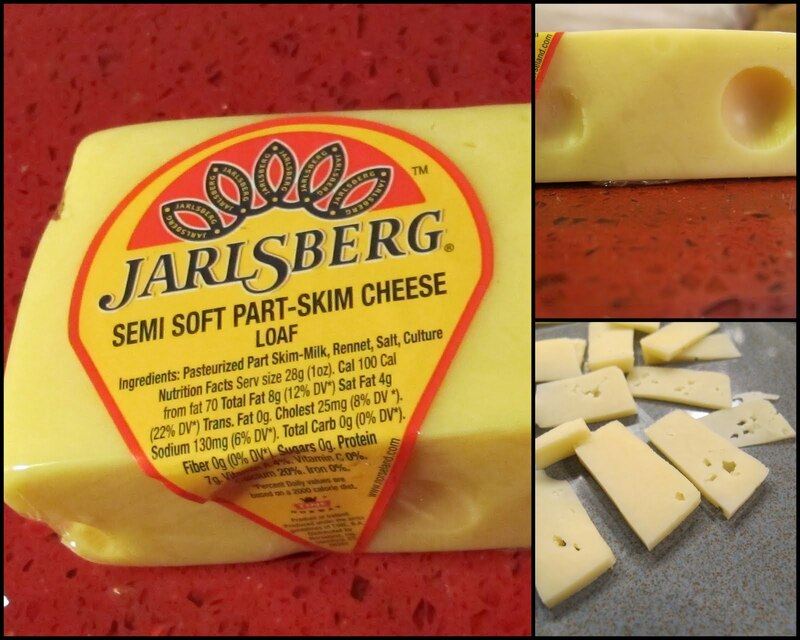 The folks over at Kitchen Play were kind enough to invite me to participate in this event with Jarlsberg cheese. My participation was voluntary and as usual, all opinions are my own. It's always fun to have a new ingredient to work with - and a little motivation to create a new recipe! I love your recipe ideas! Very creative, but also quick and easy, which is key. My husband loves to experiment with deviled eggs, so I am going to pass this recipe on to him for this weekend. Both ideas that you came up with sound delicious! Thanks for sticking with me! Things are good - enjoying lots of quality time with the little guy. I love this recipe ideas! it is so creative! The deviled eggs look so good, what a great idea!